The Schwinn Spinner Pro is designed to closely simulate the feel and aerobic qualities of road cycling without the associated distractions. 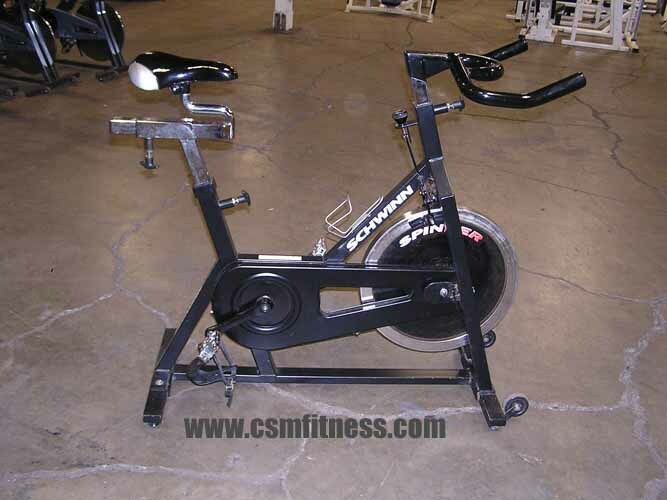 Its unique design, with fixed gearing and a high inertia flywheel, produces a smooth, intense workout. By combining true road-racing geometry with high quality cycling componentry, you can cycle at far higher RPMs (revolutions per minute). Cycling at higher cadences and at varying resistance levels develops cardio-vascular fitness, leg strength, concentration and balance.